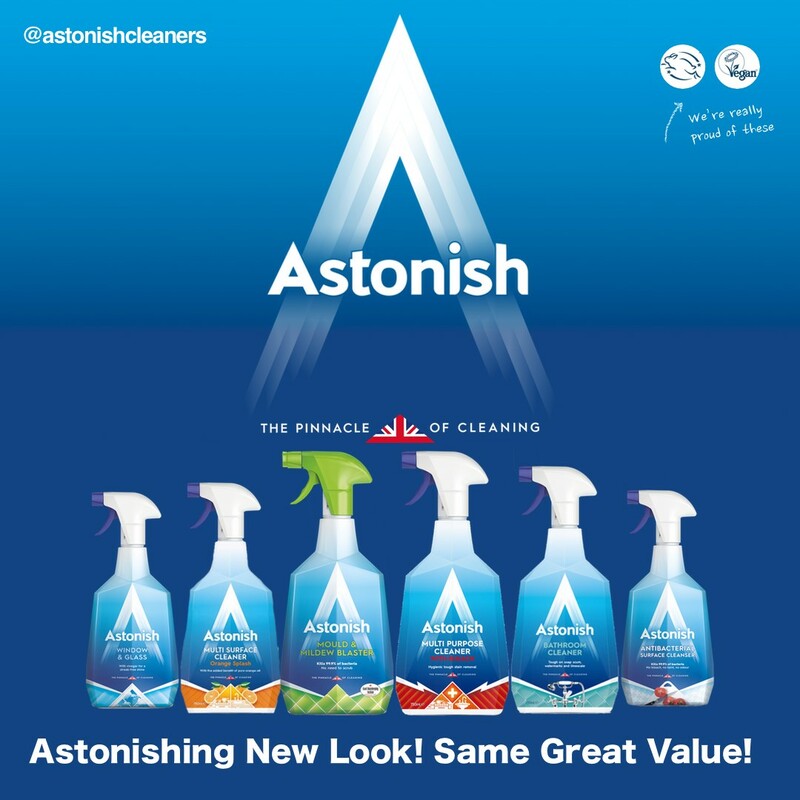 I am a huge fan of Astonish cleaning products they have helped me out of many a sticky situation, you can read my original thoughts about Astonish here. As you can see I was hugely impressed and I couldn't wait to see the new look for myself. Astonish has received a makeover, revealing a shiny new look for its range of household and laundry, cruelty free cleaning products. Still offering the same astonishing results, Astonish now has a new look and feel, its trigger sprays have been completely transformed. Products include the popular Antibacterial Surface Cleanser, Window & Glass Cleaner, and Mould & Mildew Blaster, this bundle will help you to roll up your sleeves and get the job done, nothing less. The Antibacterial Surface Cleanser makes sure your surfaces are not just clean but hygienically clean, whilst the Window & Glass has the added power of vinegar to cut through grease and grime, leaving a crystal-clear streak-free shine. Helping to remove stains in minutes without scrubbing, the Mould & Mildew Blaster kills 99.9% of bacteria and regular use helps prevent return. In other words that’s less time cleaning, which sounds good to us! To celebrate and to bring a shine to real-life cleaning tasks, Astonish is giving away a selection of products from its 60 strong range, a prize with a value of around £50. Prize – Mould & Mildew Blaster, Bathroom Cleaner, Stainless Steel & Shine, Window & Glass, Kitchen Cleaner, Limescale Eliminator, Daily Shower Shine, Germ Clear Disinfectant, Multi-Purpose with Bleach, Antibacterial Surface Cleanser, Fabric Refresher, Grease Buster, Fabric Stain Remover and Multi-Surface with Orange. To enter please answer the question on the rafflecopter form below and good luck. Terms and conditions – Applicants must live within the UK Mainland. Astonish will attempt delivery of the prize twice. If delivery is not successful on both occasions, the winner must contact the brand to rearrange. The answer is A. Vinegar. 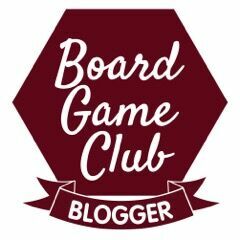 Thanks for this lovely giveaway. a) Vinegar - which makes it just like the potion used by my late Nan who used vinegar in a mix to clean her windows... so i sort of wonder why not use actual vinegar instead? a) vinegar, its great for windows! My Nan always cleaned her windows with vinegar!